When joining a team or an event – it is good to understand your goal – as it could drastically effect your involvement and the level of commitment you are willing to put forward. Winning involves much more time and commitment versus participating. There are many things you might say “NO Thanks” to if you want to simply participate and have a good time, versus going for the gold and WINNING whatever is at stake. Had this experience just today regarding a Chili Cook Off….I signed up to lead a team and several team members joyfully and willingly joined too…and all was easy and coming together nicely – and then one new person joined who I think had a different motive. He was joining the team to offer his help to allow us to win. I believe the rest of us wanted to simply participate and enjoy being part of the event. The win mentality surfaced as he dissected the simple recipe we put on the table. His suggestions changed it from something that was no longer recognizable and called for ingredients I had never heard of nor had a clue where to find. The suggestions were calling for extreme measures to put this chili together and it was adding time and cost that I did not have nor was willing to spend. I had to say “NO Thanks” to the suggestions – however great they might be – because the majority of the team wanted to participate and just have fun – we were not interested in complicating the recipe and going to extreme measures to win. We were fine with simply participating. 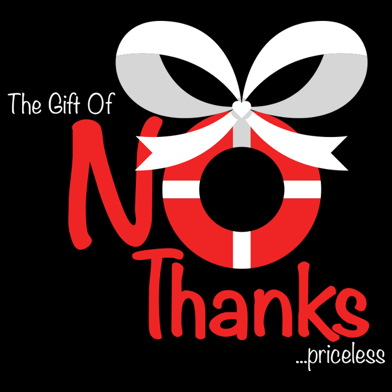 The gift of “NO Thanks” to added cost, time and pressures. Participating was enough. Participating was priceless.